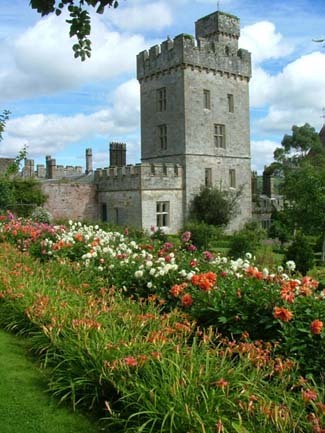 Chapter after chapter of history - peopled with high profile characters from King John, who had the first castle built there, to the first Protestant Archbishop (the notorious Myler McGrath) to Sir Walter Raleigh, who owned it at one point - has unfolded at Lismore Castle. Even without its colourful past the Castle has a dramatic enough setting to make it a star in its own right. James II is said to have almost fainted when he stayed the night there in 1689, looked out of the window and saw the sheer drop down to the River Blackwater. 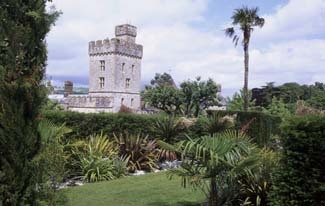 The present early 19th century castle (a private home and not open to visitors), designed by Paxton for the 6th Duke of Devonshire, incorporates parts of the medieval and17th century castles. 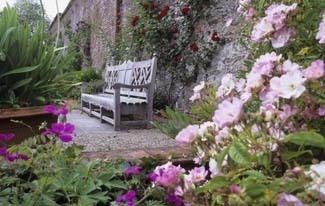 The garden walls were once an important part of the castle’s defences and within them the upper enclosure dates from the 1620s with a typical Jacobean raised terras for strolling. 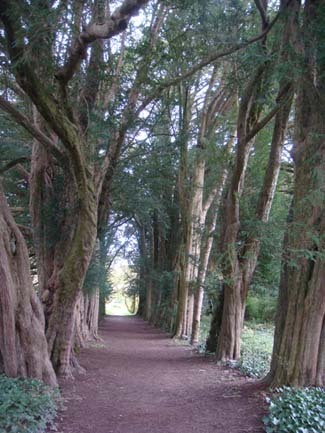 The orchards, with peach and nectarine trees, would have been a ‘flowery mead’ similar to today’s wild flower meadows; here is a display of bluebells in the spring, and a yew walk dating to the early 17th century. 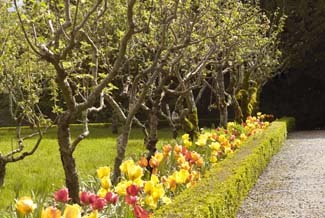 The lower part of the garden was laid out as a Pleasure Ground for the 6th Duke, known as the Bachelor Duke, and is now planted with a host of flowering shrubs: magnolias, rhododendrons, azaleas and flowering cherries. 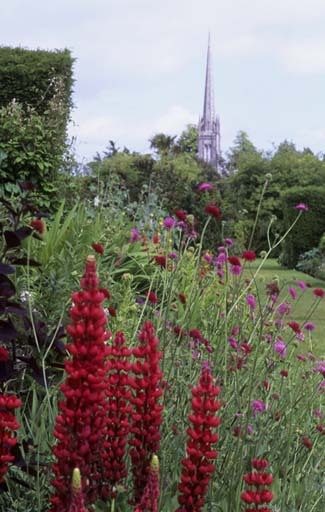 Part of the upper garden is laid out with formal beds, and has a central path and flights of steps running through a double shrub and herbaceous border backed by yew hedges, and by rose and lavender borders. Some of the original greenhouses, by Paxton of Crystal Palace fame, are still in use. The charming Riding House staircase links the two parts of the garden which has been enjoyed in its day by Lady Caroline Lamb, (on a visit to help her get over Byron) and Adèle Astair, the dancer and wife of the 9th Duke of Devonshire.